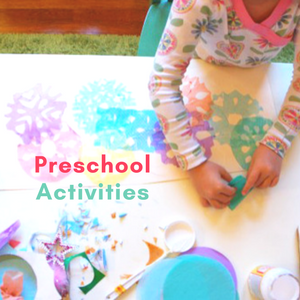 Does your child like to decimate beautiful rectangles of construction paper into oblivion? Of course they do! And then what do you do with all those paper scraps when the fun is done? Recycle them? Pitch them? Put them back in the paper sorter? After a marathon crown-making session, this is what remained after my kids dissected our construction paper into a gazillion pieces. And do you know what happens to this paper? 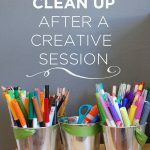 Will my kids ever want to use the scraps again? If I don’t touch it, not a chance. I first noticed this phenomena when I was teaching. Children don’t like to use broken crayons as much as they won’t get near a pre-used piece of construction paper. Every child I know likes to cut right from the middle of a brand new sheet of paper. Have you ever noticed this? And who can blame them? The untouched rectangle is the perfect medium to hit with a good dose of imagination. Just pour yourself a cup of coffee, find a big pair of grown-up scissors, and give yourself a few minutes to get cutting. Maybe put on some good music. Chop – chop – chop. You’ve chopped up a big batch of new, mini rectangles that are just as appealing as the first big one. Do you have a favorite art tip? I’m thinking about starting a new series of posts called Art Tips! Is this something that you’d like to see here? Little tips and tricks that will help you save money on art supplies, DIY art recipes, and tricks for making things come together. Will you let me know what you think about this? And…if you have a favorite piece of artsy advice, I would LOVE to hear about it (and maybe I’ll feature it in an upcoming art tip!). We do this at our house (when I have the time) as well. You’re absolutely right. She won’t touch the scraps unless they’re tidy. I love the idea for the series. 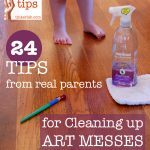 As a mom, I can say the biggest hinderance to creating with littles is the mess and the time it takes to clean it up. I hear you loud and clear. This issue resonates with me and just about every parent I speak to. If only they would do a better job cleaning up after themselves! Okay then, one vote for the series!! 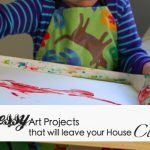 Great idea for my kids – jelly’s to help me clean up after doing some art or craft. Oh, that’s clever, Anton. I wasn’t even thinking about putting the kids up to this task. Hmmm…. My vote is yes too! Great idea! Thanks Megan! I really value your opinion!!! I am so happy to see a new post! I’ve been missing them and wondering what you had in store. I think art tips would be great. Your series are always inviting and helpful! OMG Rachelle, you are brilliant! It’s so simple, and yet, I can totally see how this works! 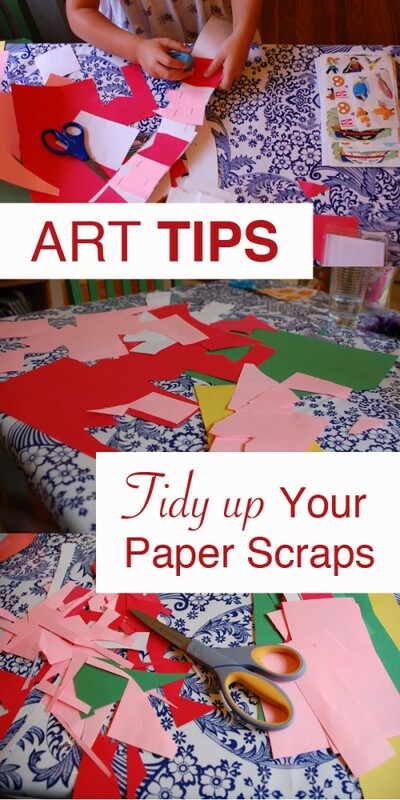 I’ve been searching and searching for ideas on how to handle the scraps of paper. The wastefulness boggles my mind, I don’t want to throw them away, but I the kids won’t use them the way they are. And all those tiny bits that are left over- they can be composted or recycled OR?!!??! 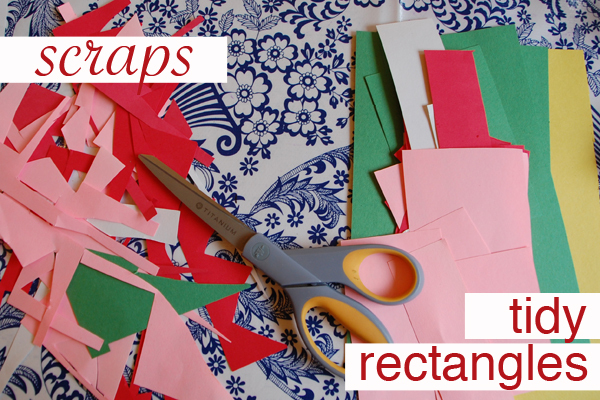 With a little more time, they could be cut up into squares and rectangles and triangles for use in collage projects. What a perfect solution! This post has totally made my organizing dreams come true. And I vote yes for an art tips series! Thank you! 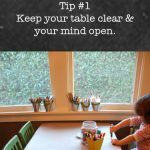 Great idea, you can learn so much from the little things we all do. I would love to see more of your art tips. Keeping up with arty/crafty kids can get expensive. My kids love a clean blank rectangle too. One little thing I do that has worked well is I collect as I go. A few promotional postcards, an appealing brochure, map from the zoo…. it all goes into a collage box to be mixed with plain and coloured paper with the collage bug bites. 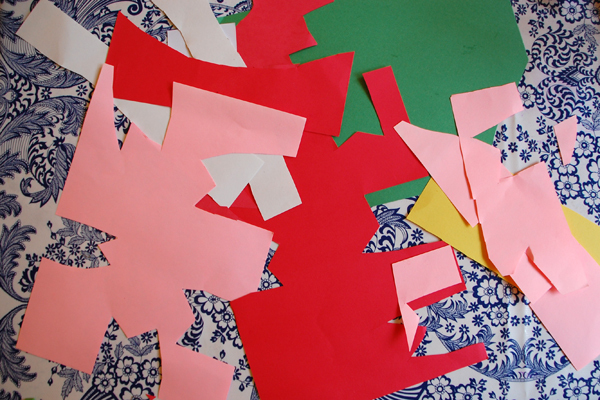 Chrissy, that’s what we do around here- transforming scraps into simple shapes that go into our collage bin- and it works really well! I usually save them up and cut them into shapes while Isia’s occupied with another project. 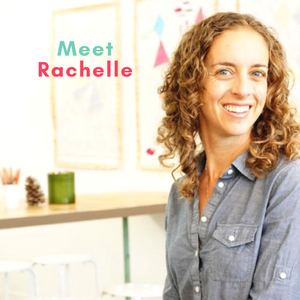 Rachelle, please add one more vote to the series- what a great idea! Yes! 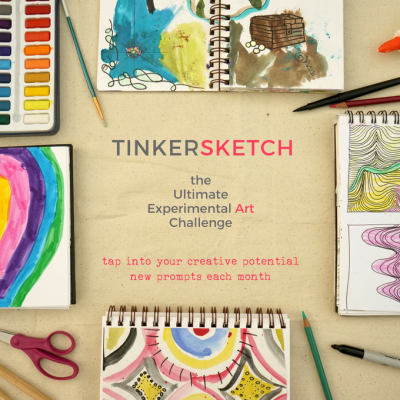 Would love the series of “Art Tips.” One thing we do with paper scraps (even old paintings) is to use paper shape punchers to turn the unwanted scraps into something much more exciting. Sometimes I’ll cut strips of old paper and punch out shapes in a line- then even the strips end up looking cool with shapes cut out! We re-used old paintings in my art classes for valentines day last year with heart shape punchers. Here’s a pic. Oops. Tried to upload a pic, but it doesn’t look like it worked. 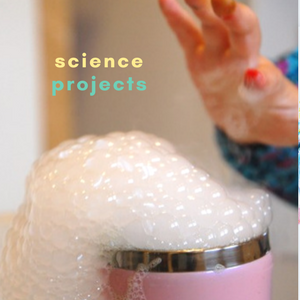 I LOVE this idea, and you’re reminding me to pick up some big hole punchers at the craft store. Fiskars makes a series that little kids can punch themselves. Muchas gracias. We live in a city and our space for art supplies (and the ever growing pile of finished artwork) is limited. So I’ve been making an effort to engage my kids in what I call pop-up or temporary art. For example, last summer we used our homemade acrylic easels to make temporary stained glass with bleeding tissue paper (http://notsosahm.blogspot.com/2012/06/summer-sun-pop-up-stained-glass.html?m=1). Yes, please do start a series on Art Tips! 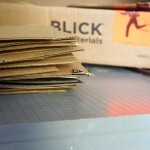 I’m always looking at ways to extend the use of the art materials we already have on hand. Would love some tips! This is such a great tip. It really amazes me how my son won’t continue using the same piece of paper. Another vote for yes on the tips (though I think you already started them). A trick that I often use with kids is to ‘pre size’ paper for them, for example if the largest piece they will be creating will be around 3″ or 4″ then they start with a 1/4 sheet. I also remind them to start at the edge by telling them ‘that side is already cut for you’ – who doesn’t like having part of the work done before they even start?! 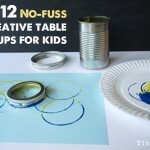 This would also be a great project for kids who love the paper cutter. My son would play with the paper cutter all day if I let him, so maybe I will recruit him to “fix up” our paper scraps, with supervision of course.